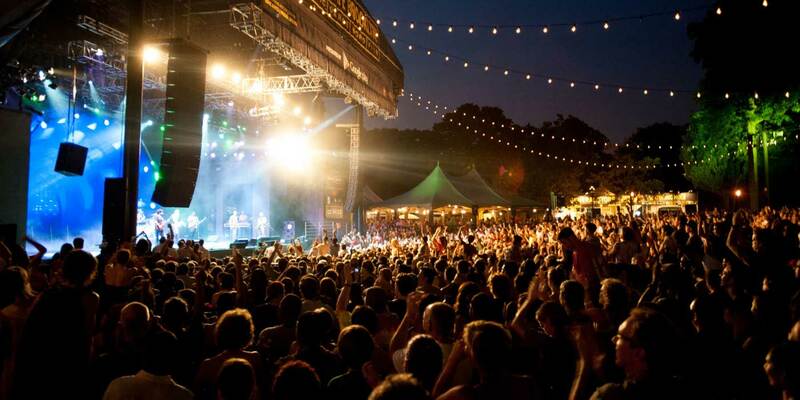 We are the leading provider of Motion Picture Shower Trailer Rentals, TV & Production Shower Rental, Major Event Portable Showers, and Festival Shower Rentals. Serving all of Southern California including Los Angeles County, Ventura County and Santa Barbara County. 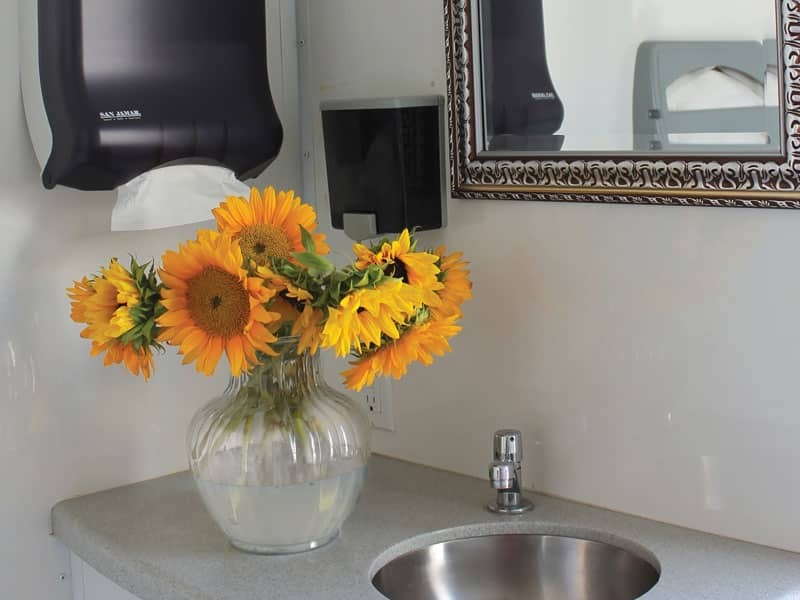 Our 2 Room Shower and Restroom Deluxe Trailer (8’ x 12’) is completely self-contained (no utilities required) or may be hooked up to sewer, outlets and a water source (common garden hose). It only requires 20 amps of shore power, has a 12-volt lighting system. The heating and air conditioning system can be plugged into a 20-amp circuit. It has non-skid custom vinyl floor. 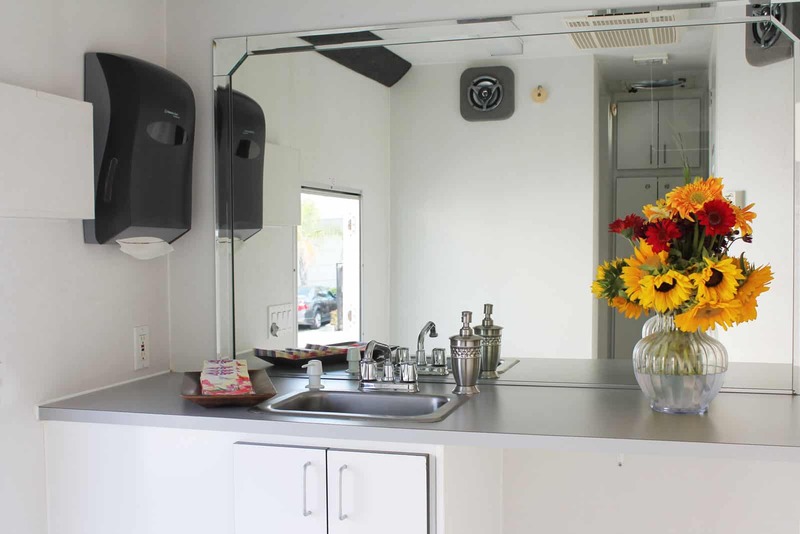 The 200 gallons of fresh water and the 250-gallon gray water holding tank allows for approximately 8 to 12 showers. 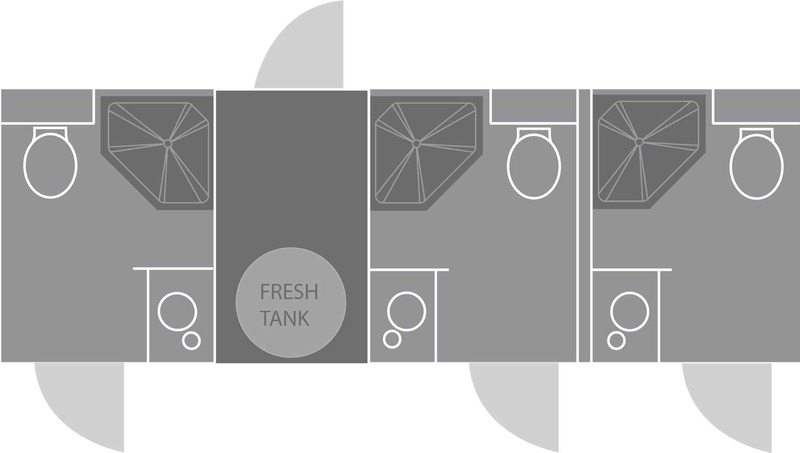 The 50-gallon black water holding tank allows for approximately 75 toilet uses. 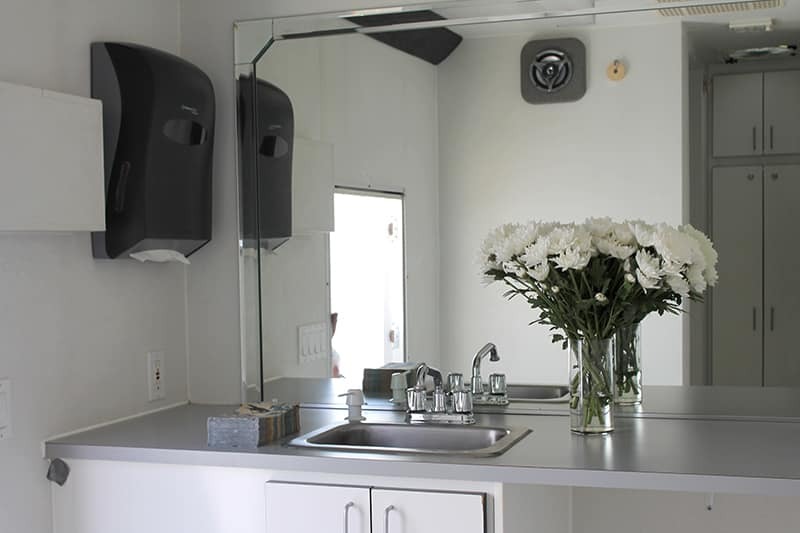 We guarantee our Trailer Event Rentals will arrive sparkling clean and stocked with everything needed. 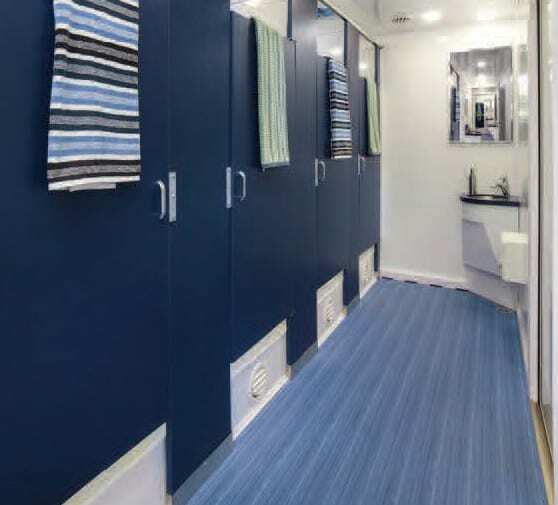 This 3 room shower combination trailer has three spacious, private shower rooms complete with sink and a toilet. 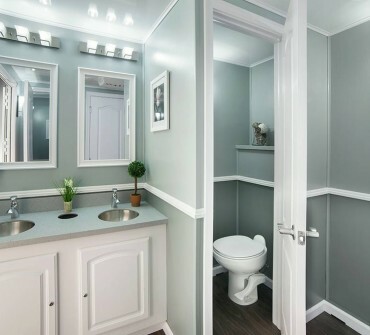 Your guests will feel at ease showering and changing in a space all their own, with the added convenience of their own restroom facilities. Customers may choose the option of push button or full-flow. You have the ability to determine the time on the push button feature. 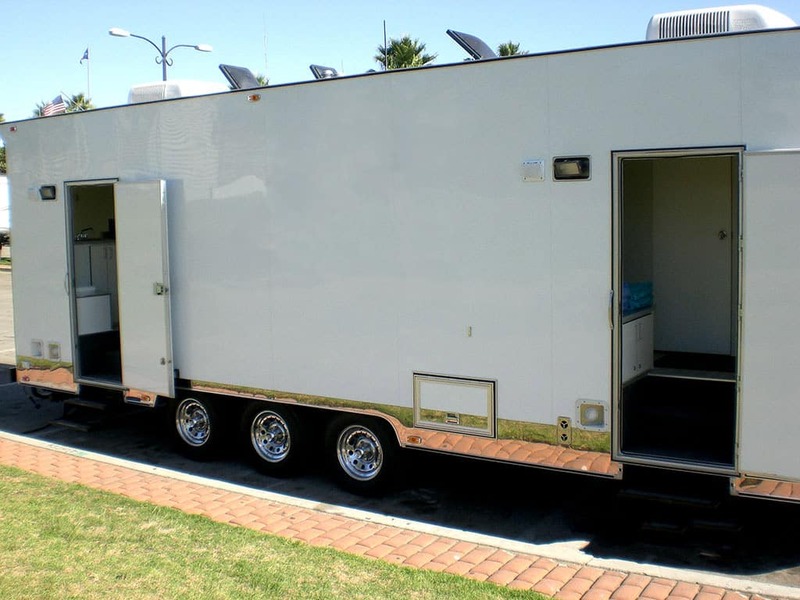 Perhaps the most important feature is the use of non-wood, and seamless wall, floor and ceiling surface materials to construct this trailer. Trailers made with a wood structure may experience rotting, mold and mildew due to water seeping into the framework. 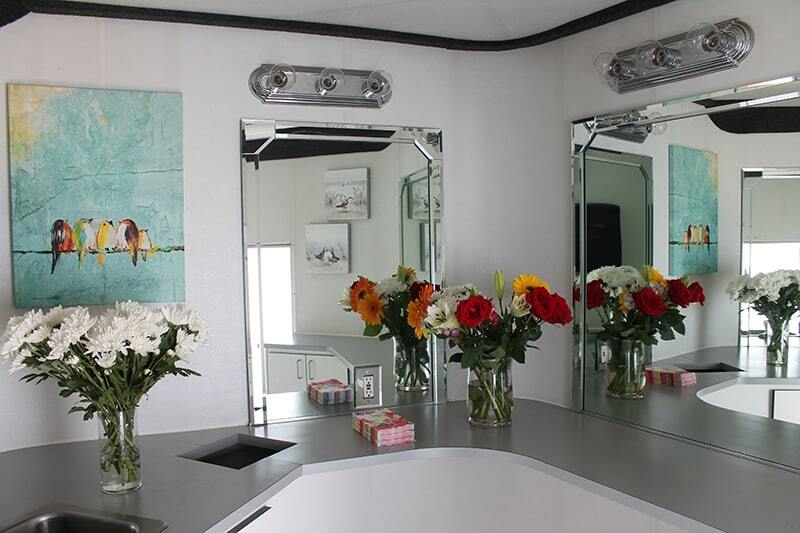 Our trailers are made to last and look beautiful for years to come. 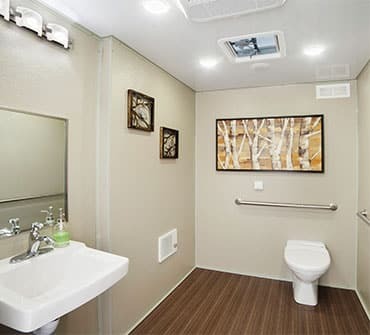 Our 4 Room Executive Shower Trailer (8’x32′) is completely self-contained (no utilities required) or may be hooked up to a sewer, outlet and water source (common garden hose). They only require 20 amps of shore power, and have a 12 volt lighting system. The heating and A/C system can be plugged into a 20-amp circuit. 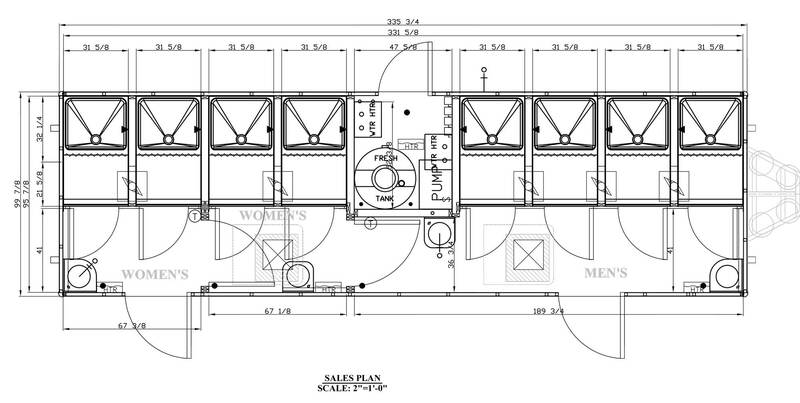 Features include a non skid custom floor and 300 gallons of fresh water. This allows for approximately 17 fifteen minute showers. The grey water tank is 350 gallons which allows for approximately 75 toilet flushes. 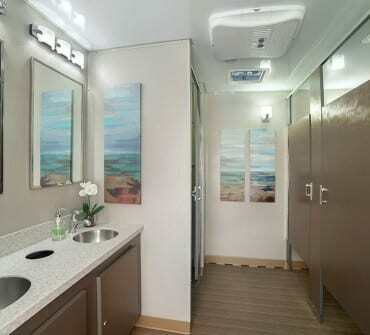 Each side features two private showers with continuous hot and cold running fresh water (no pull chains), one full fresh water toilet, one hot and cold water sink with bench and makeup area. 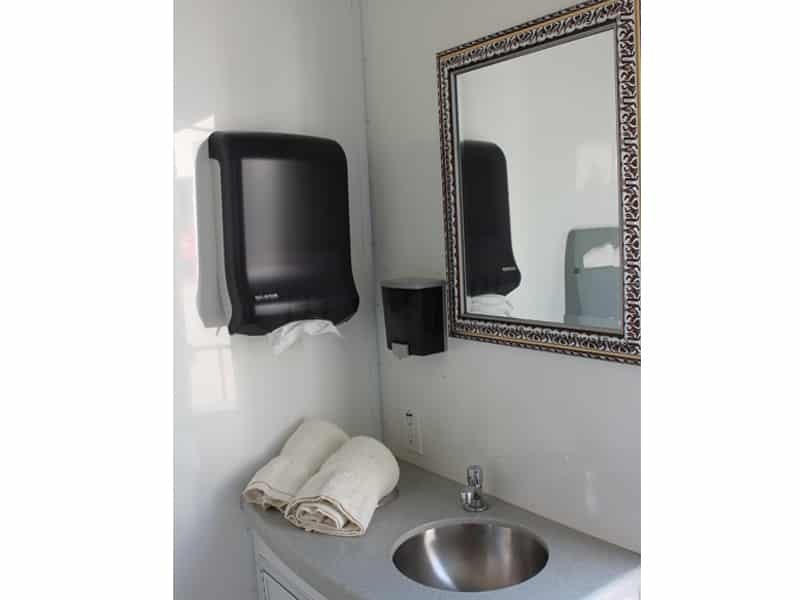 We guarantee our T&D Shower Trailers will arrive sparkling clean and stocked with bath towels, hand towels, (different colors available.) We also use green paper products and will ensure you are fully stocked for your event. 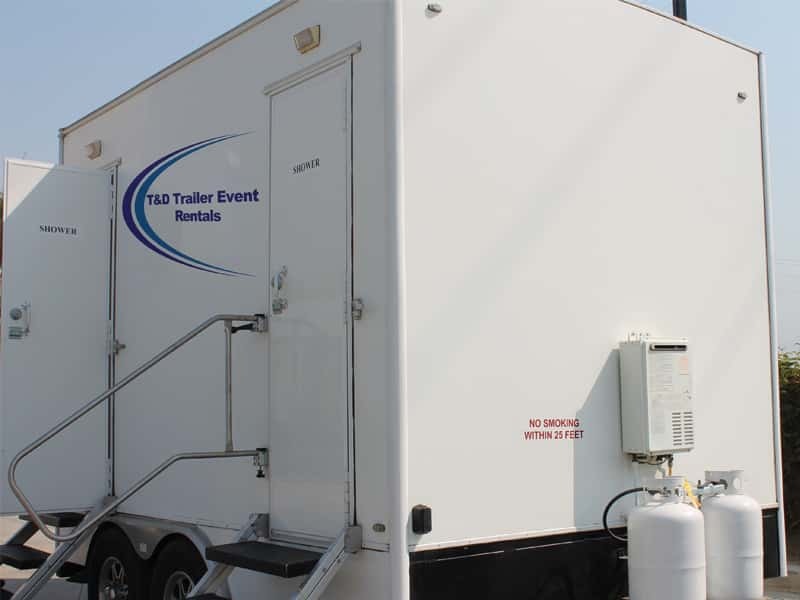 The T&D Trailer Event Rentals 8-Station Flex shower trailer offers you and your guests unequaled flexibility as well as many unique features. It can be configured for male/female use in a 4+4 or 2+6 or 3+3 floor plan, or as an 8 shower arrangement depending on gender requirements. 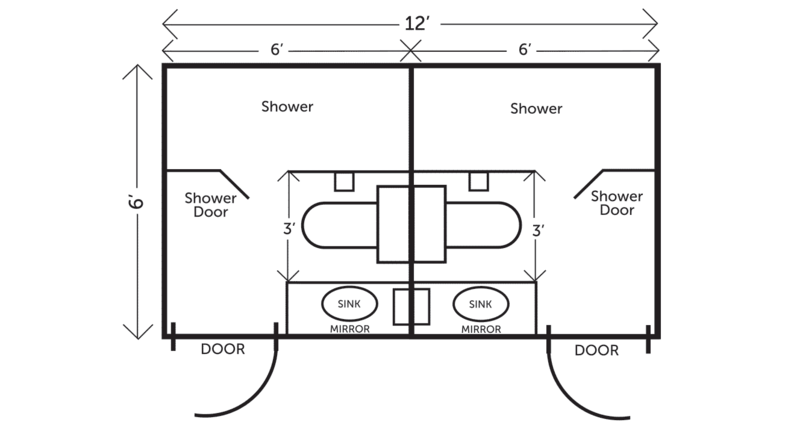 And each shower stall has a changing area, shower and private locking door. The showers are also raised above floor level to improve ventilation and create more space for general shower maintenance.